Friends! As you know I'm currently taking some much needed mommy/baby/daddy time after the birth of our little one :) Aggg guys, we're parents!!!! So during this transition into our new season of life, I've invited some of my most beloved and dear blog friends to help me out, in the form of unique and wonderful guest posting! 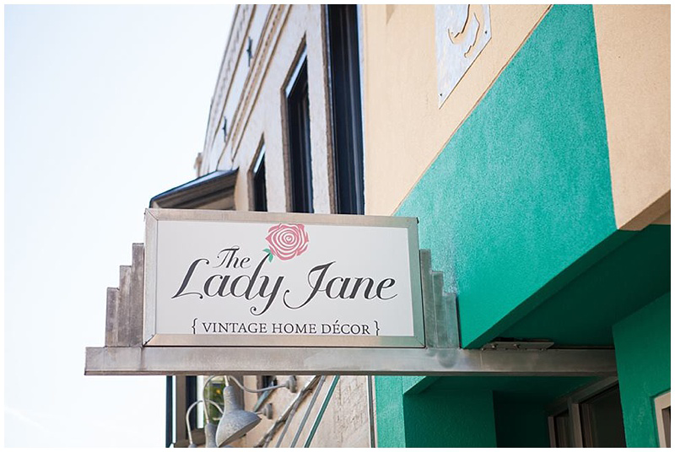 Today, I'm honored to have Sara of The Lady Jane Shop take over. Though Christina and I have never had the chance to meet in person, I’ve so enjoyed getting to know her through mutual friends (and SLBS, of course!). It’s a lovely treat to be a guest here. I’m Sara, vintage-enthusiast and tea addict! During the day I work at my little vintage shop, The Lady Jane. I'm also often on the road hunting down furniture and decor, or doing side projects for the shop blog. It’s been a long winter here, so I wanted to share with you a sweet and simple DIY to bring some sunshine indoors. For those of you who keep every glass jar and bottle (like me! ), this one’s for you! 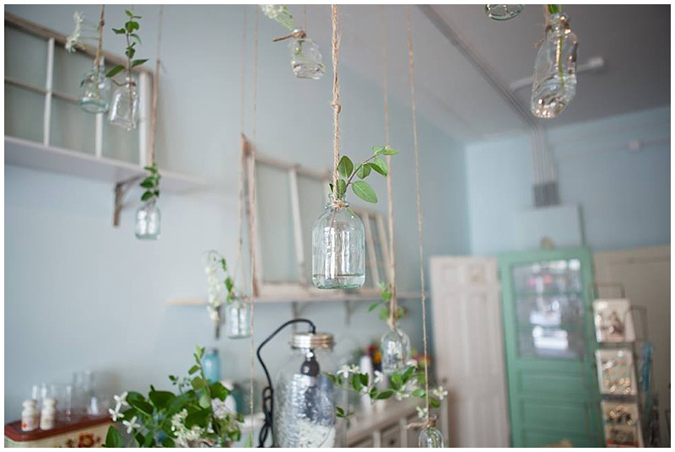 Below are some hanging jars that I’ve sold at the shop --- there were so many creative ideas customers thought up for these, from drying herbs to hanging water-living clippings. 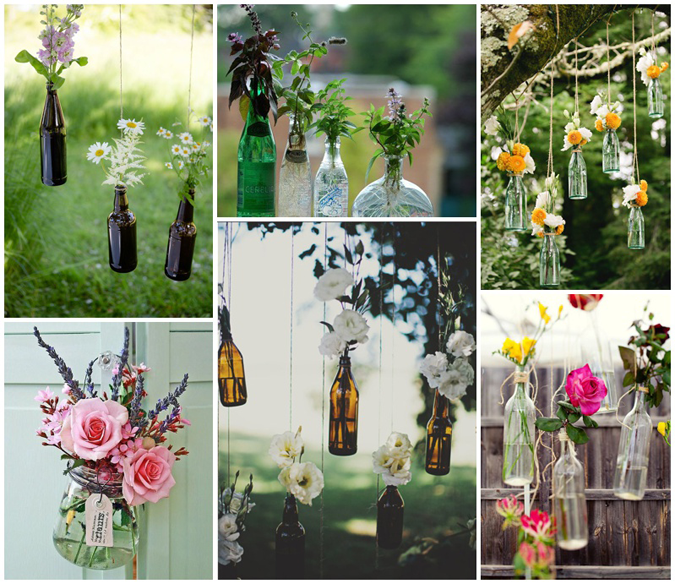 The jars were special order, but it would be so simple to make your own! 1. Wrap a section of wire tightly around the neck of your jar. Using the pliers, create two loops on opposite ends, wide enough for your twine (or thin rope). Twist each loop closed. 2. Loop and tie a sturdy knot of twine in one wire loop. Eyeball desired length of twine and cut. Loop and tie a second knot in opposite wire loop. 3. Optional: Tie a knot about 8 inches from the neck of your jar. This will help your jar to hang straight. Thanks a bunch! If you’re ever in Harrisonburg, do stop by and say “hello”!! Thank you so much Sara! This is such a sweet (and easy) diy! I so love it! For more amazing diys and inspirations, please check out The Lady Jane Shop!